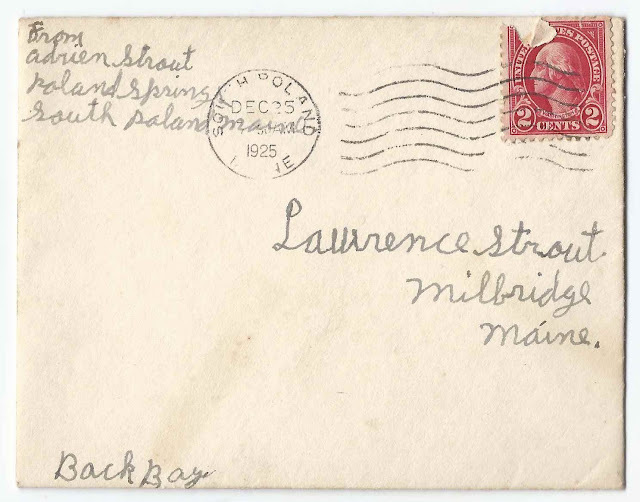 Two greeting cards sent to Lawrence Strout at Back Bay in Milbridge, Maine, one in 1925 and another in 1930. 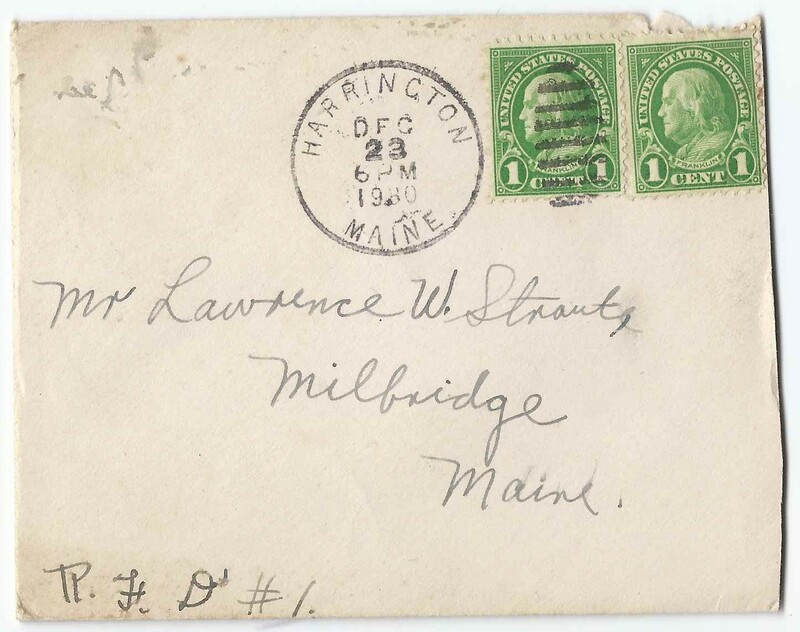 The card above was sent to Lawrence by Adrien Strout at Poland Spring, South Poland, Maine, in December 1925. 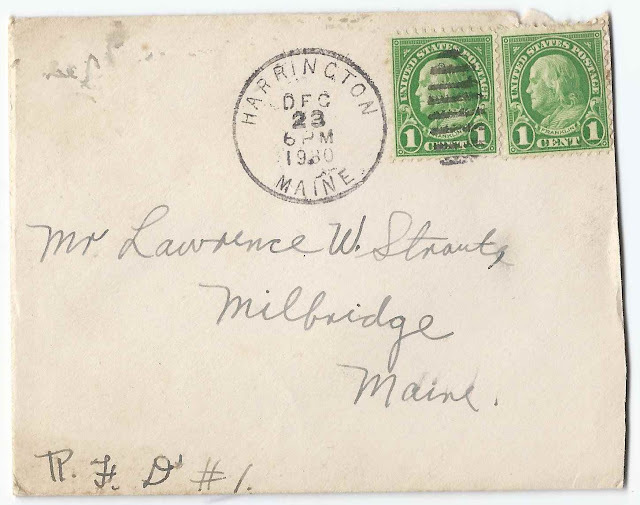 Assuming I have the correct sender, Adrien Wallace Strout was born 7 May 1910 at Milbridge, Maine, the son of Albion W. Strout and Ethel (Strout) Strout. The reverse of the envelope has no markings or text. 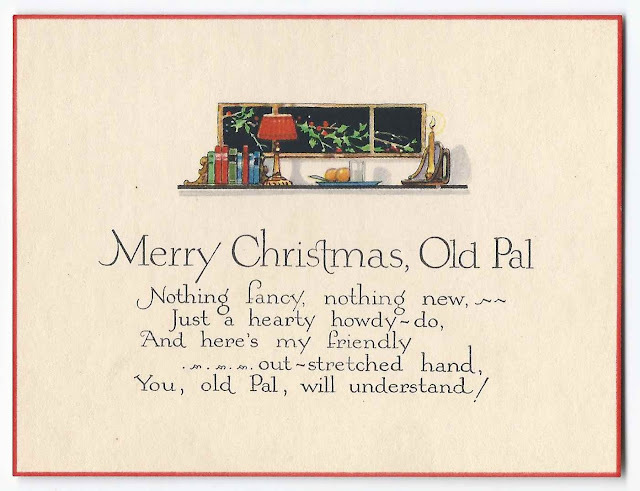 The card wishes "Merry Christmas, Old Pal". 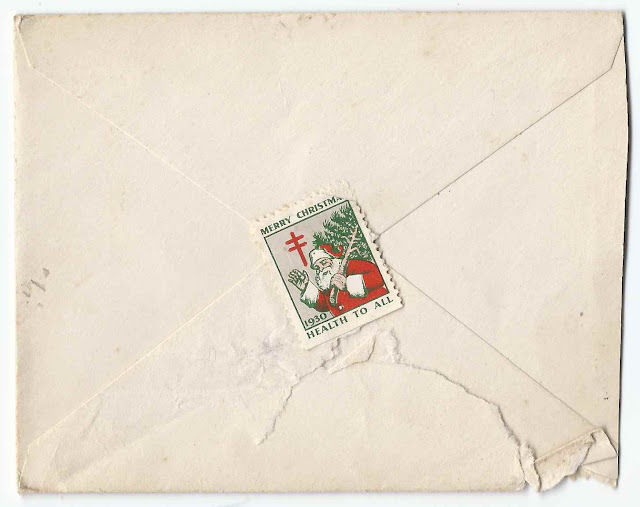 The other envelope was postmarked December 1930, Harrington, Maine, and is sealed with a 1930 Christmas stamp promoting "Health to All". 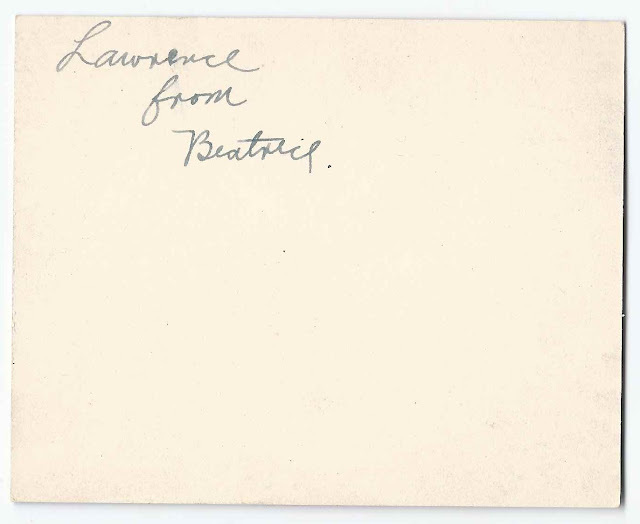 The card was sent to Lawrence by Beatrice. 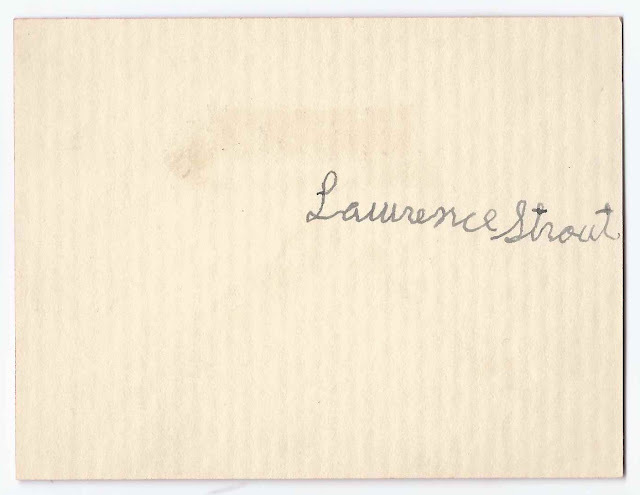 Lawrence Walter Strout was born 4 January 1917 at Milbridge, Maine, son of Walter Lewis Strout and Alfreda Mary (Crocker) Strout. 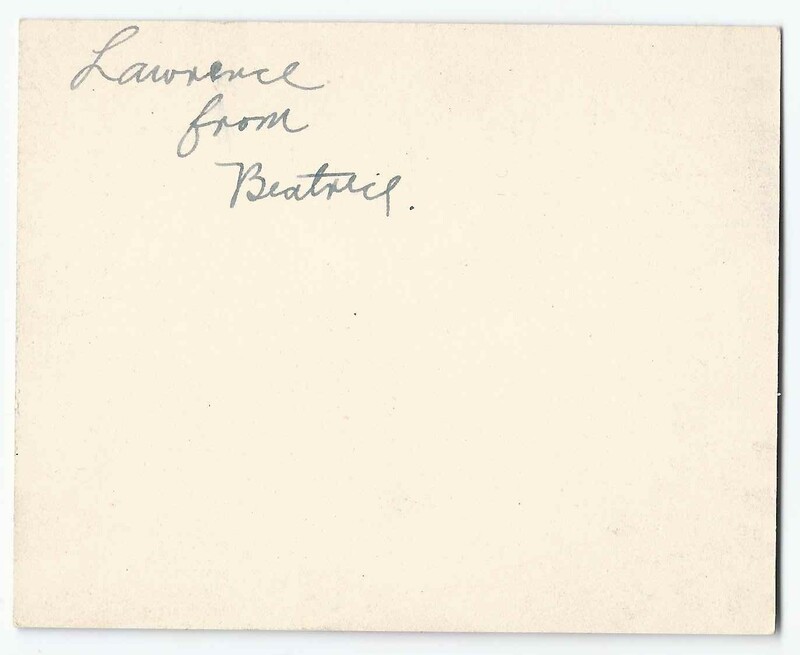 Lawrence would marry Sylvia Lozina Tibbetts in 1936 at Harrington, Maine. She was born 3 December, 1918, at Milbridge, Maine, daughter of Walter J. and Lozina Emma (Lindsay) Tibbetts. 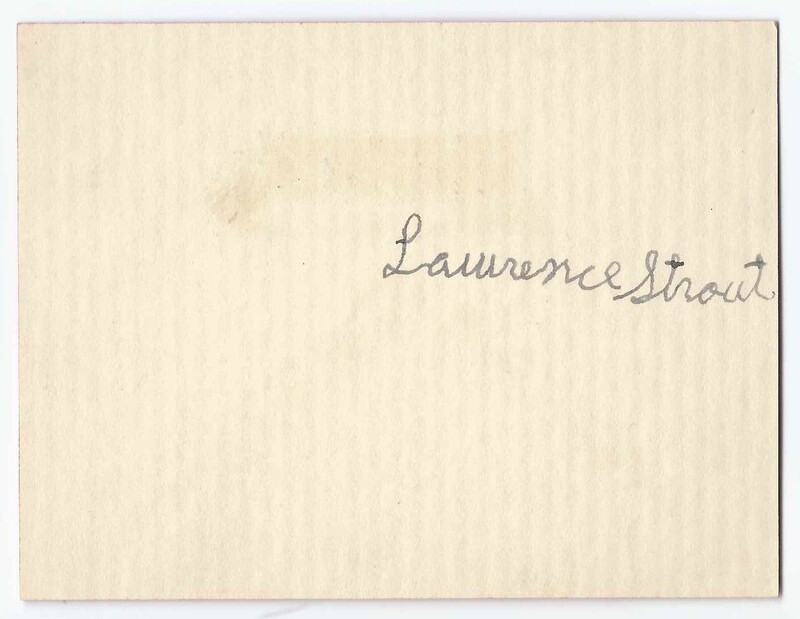 At the time of the 1940 Census, Lawrence, Sylvia and two daughters were living at Steuben, Maine; Lawrence was working as a fisherman. 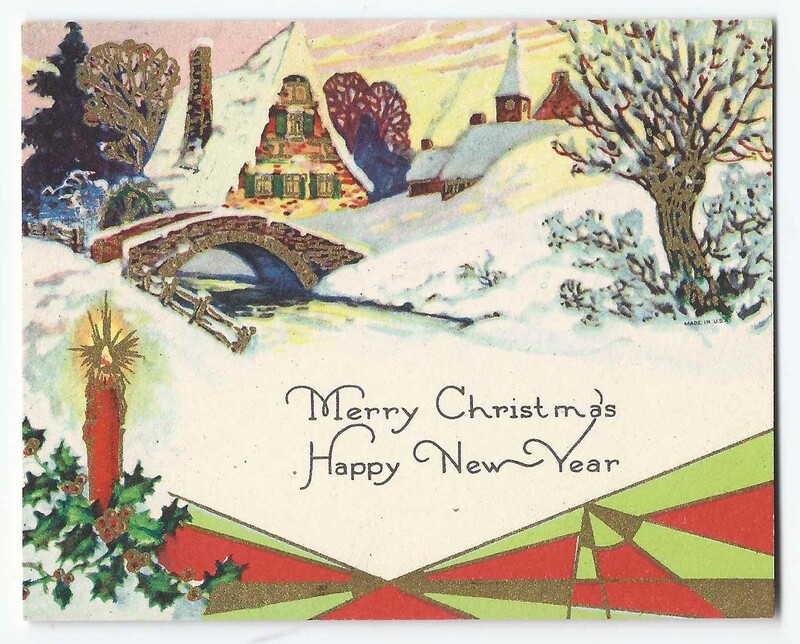 I believe they had at least two more children.